​ Boulder Walls For Less provides retaining boulder walls for erosion control landscape. 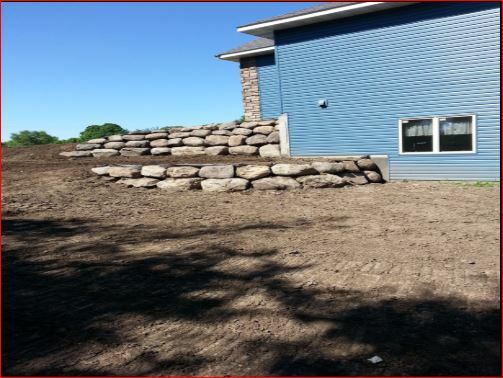 Retaining boulder walls are nature's natural beauty. 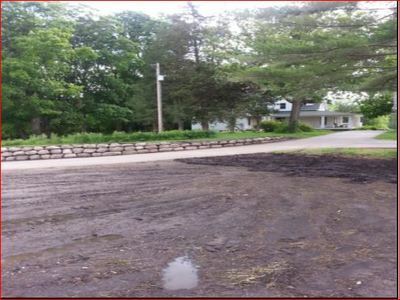 Our company offers quality workmanship at lower prices. We decided to start our own Minnesota company because we saw a need for well designed boulder walls for a reasonable price. We believe in taking pride in the satisfaction of doing a job well done. 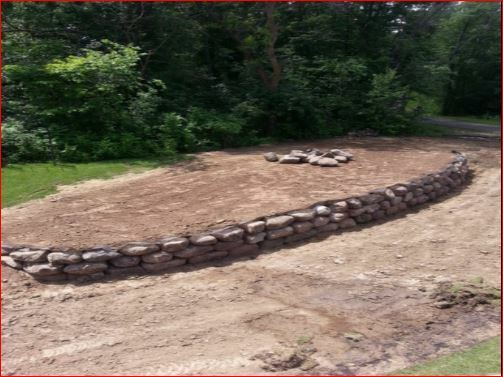 This means providing customer satisfaction and taking extra time to structurally set the retaining wall (not just stack any boulder on top of other boulders). 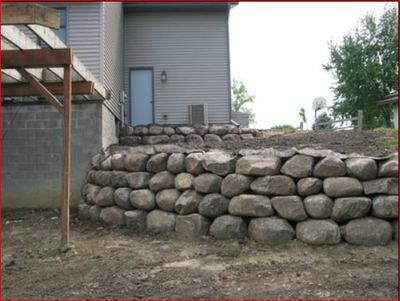 Our company, Boulder Walls For Less, wants to be known for excellent service with lower prices. ​ Boulder walls emphasize nature's beauty. Retaining walls are an excellent choice for controlling erosion. Erosion is when soil is unstable because of insufficient water drainage and weather. The benefits of boulder retaining walls are the weight of the stones with gravity. The natural crevices in the wall allows water to seep through. Retaining walls should always have fabric behind the boulders. 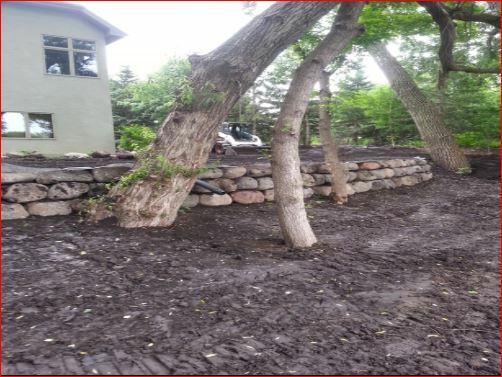 Boulder walls are a very good reinforcement for uneven soil. 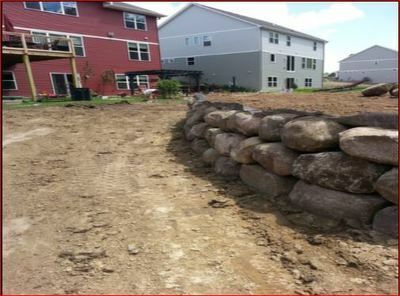 The boulders have the weight that is needed to hold back the pressure of the soil. These rocks are designed for durability. Boulder retaining walls are provided from nature's environment. Boulder walls are environmental friendly. There are no chemicals added to the boulders unlike blocks. The chemicals added to blocks is to preserve the quality of the block product. 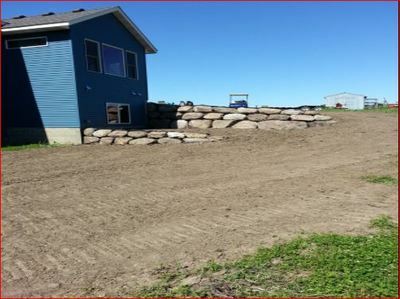 Creating a block wall is expensive. It is more labor intensive. 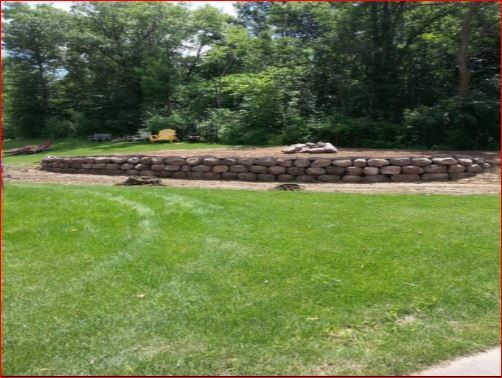 Retaining walls preserve the natural shape of your property from uneven settlement. Soil erosion starts forming large cracks. 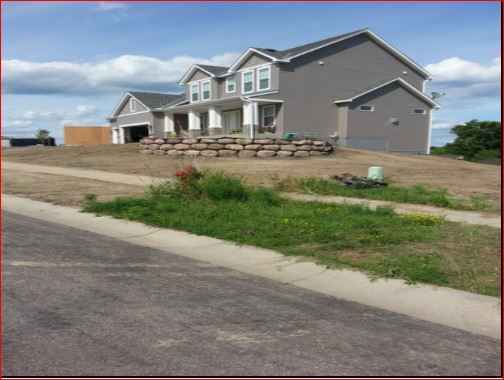 Weather conditions and temperature fluctuations increase the soil's displacement. Rain falls and freezing with thawing can change the components of the landscape. Without plants, trees, and other structures, the abundance of soil will wash away. 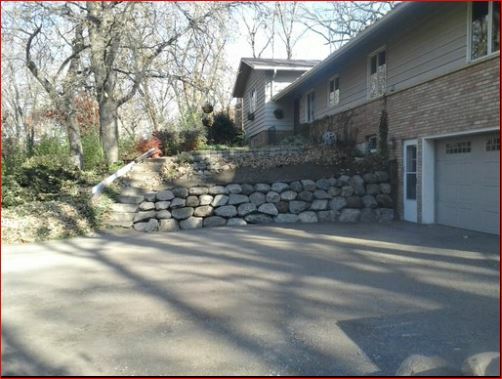 This is where a retaining wall would be beneficial. 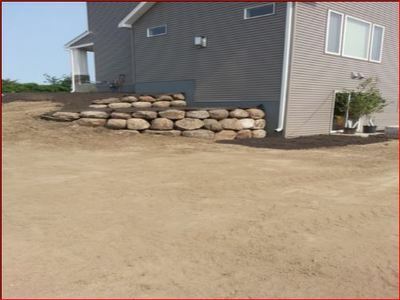 The benefits of a boulder retaining walls is it levels off the property and decreases run-off. It creates more manageable and useful space. Retaining walls provide level areas for patios, gardens, pools, and even play areas. It creates an attractive display of landscape. 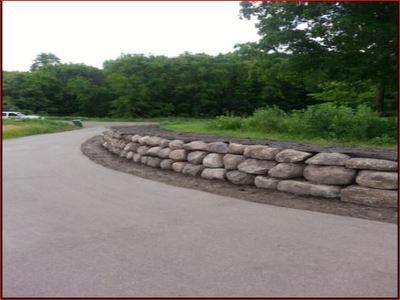 Our boulder walls have a distinct and skilled knowledge that shows off our years of experience. The rock walls have the performance to stop erosion and display a quality structure. Our pictures display the pride we take in our business that customers have come to appreciate. 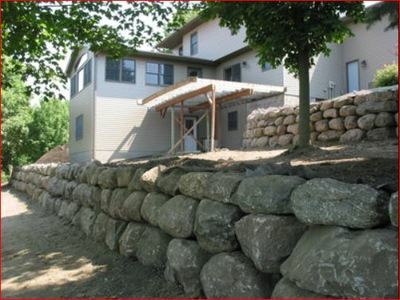 This website has content that will help you make an informed decision for choosing a boulder wall contractor. Our website offers information for all consumers. 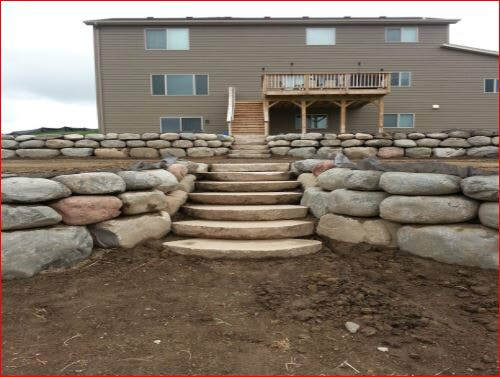 Boulder Walls For Less is looking forward to working with you. Our company strides to surpass customer's satisfaction with experience and integrity. Boulder Walls For Less LLC. 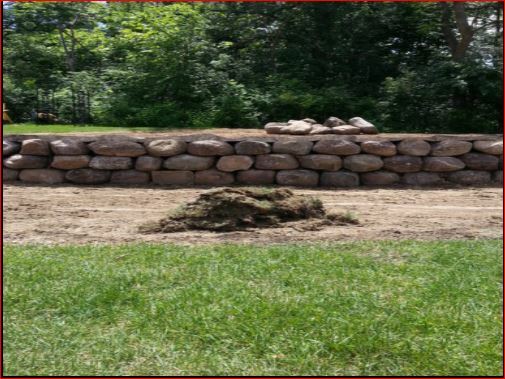 Free estimates on boulder wall installation.